For global manufacturers, the annual Geneva Motor Show is one of the year’s biggest events. It is traditionally where manufacturers reveal their most important cars, demonstrate pioneering concepts, and publish the biggest news of the year. This year's show ran from March 3rd to the 13th. Kia's stand included a number of new models, and the manufacturer used Geneva to make several key announcements. One of the biggest events was the unveiling of the new Kia Niro. Geneva marked the debut of the vehicle in Europe. The model is a fresh addition to the Kia range, rather than an evolution of a current car. The Niro is a hybrid crossover, and the first to stand on the manufacturer's 'eco-car' platform developed for plug-in, partial and full electric models. In size, it stands between the cee'd and the Sportage. Kia will position the Niro as a HUV, or Hybrid Utility Vehicle, one of the first of its kind. The sharp design brings it in line with the latest models, with added cladding, roof rails and skid plates. The Niro is also set to offer Kia Connected Services and a vast array of infotainment functions. Alongside efficiency and technology, high performance is something the manufacturer has been working hard on behind the scenes. The reveal of an increased GT range at Geneva is the culmination of these developments. The cee'd and pro_cee'd are already available as GT models. They will be joined by the Optima and new Optima Sportswagon. Both new GT vehicles are expected to use a turbocharged 2.0-litre engine producing as much as 250bhp and 353Nm of torque. This would make them the most powerful Kia cars available here in the UK. These new GT cars are not to be confused with the road version of the Kia GT concept expected before the end of 2017. Kia has long had plans to launch the four-door coupé, and the model name will likely change between now and the official release. There is a non-GT version of the all-new Kia Optima Sportswagon coming soon. Those who remember the Kia Sportspace prototype from the 2015 Geneva Motor Show will recognise many aspects of the new SW. The wraparound rear LED lights and sloping roof line still feature. It retains the premium atmosphere of the Optima, with increased interior storage and a quieter cabin. Apple CarPlay and Android Auto will be part of the Sportswagon's in-car technology, enabling owners to link their mobile devices to the vehicle. Kia safety systems will likewise be enhanced, and intelligent parking assistance is widely expected. A Kia Optima Plug-In Hybrid is a further planned model, adding to the petrol-electric options in the range. It debuted in Chicago earlier this year. Next to the fully hybrid Niro, the latest Optima will be Kia's first plug-in vehicle. A new aerodynamic front grille and distinctive alloy wheel designs help to distinguish it from the current Optima. 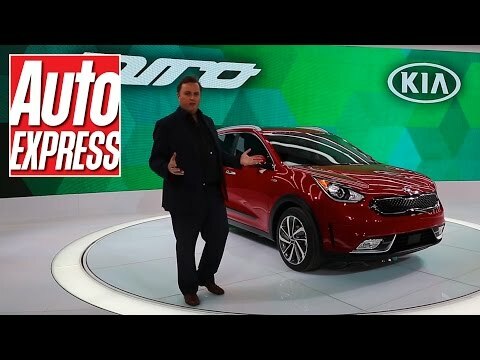 The announcement of both the new Optima and the Niro shows Kia's push towards hybrid technology. There is similarly scope for plug-in and full electric versions of the Niro in future. Drivers can expect the new Kia Niro to launch in the UK during summer 2016. Full details on the all-new Optima Sportswagon and the Plug-In Hybrid will be revealed soon. The hybrid version is anticipated for a September 2016 release. Your source of Kia news, updates and model announcements is your nearest Birchwood Kia team. Stay informed by checking our website, or contact us in Washington and Eastbourne.